Annemieke Verbeken (1970) is mycologist at Ghent University, Belgium. She started taxonomical studies in Lactarius in 1992 – initially for a PhD-study about the diversity of the genus in tropical Africa – since when she described more than 100 new species, mainly from tropical Africa and South East Asia. She did field work in tropical Africa, South East Asia and different regions in Europe with, besides for Russulales, a special interest for other EM genera. She is a lecturer in mycology and general botany and curator of the mycological herbarium at Ghent University (GENT). The mycology research group that she leads, is focusing on phylogeny and phylogeography of Russulaceae, combining morphological studies with molecular data to gain phylogenetic insights. She is also active in the Flemish Mycological Society and contributes to the knowledge and inventorisation of the local funga. 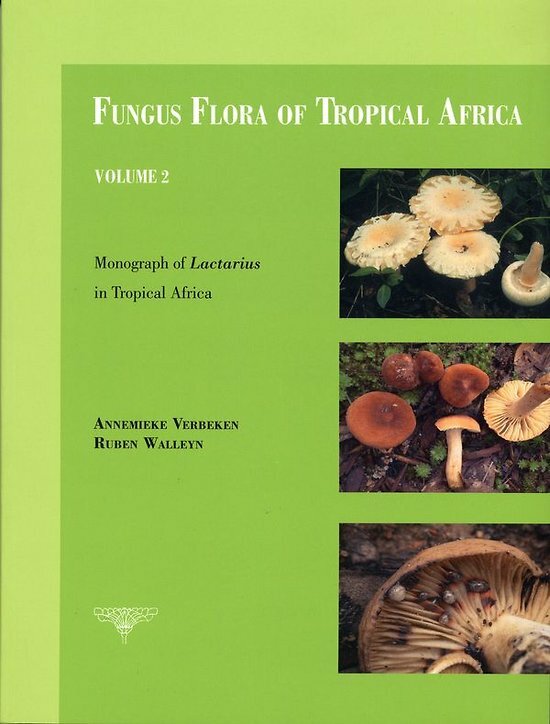 Ruben Walleyn (166-2008) worked as a mycologist at INBO (Institute for Nature and Forest Research, Flanders) where he was responsible for the monitoring of forest reserves and mycological inventories. Very soon he became a leading figure in the mycological landscape in Flanders, not in the least because of his publication of a first red-list for macrofungi in Flanders and a first checklist of Basidiomycota. His concern and dedication for mycology in Flanders was enormous and it is under his impulse that the various smaller Flemish associations finally fused into a single Flemish mycological society – the “Vlaamse Mycologische Vereniging” – of which he became the first president. Besides his job and dedication for Flemish mycology, Ruben always shared Miekes passion for tropical Russulaceae and other EM fungi. 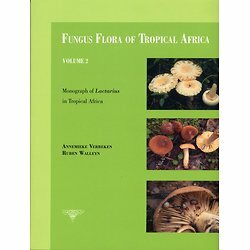 From the very beginning he encouraged her work on tropical Lactarius, joined in in many expeditions and cooperated with many publications and especially with this flora. Full of plans and projects for the years to come, he was taken away abruptly and will be missed by many people, not in the least his mycological friends.